Which signs should you look out for? While coming down with a cold or flu is no fun for anybody, you’ll usually get over them without medical assistance. However, what signs should you look out for that indicate it may be something a bit more serious, and may need treated by a doctor? Find out in today’s blog post. 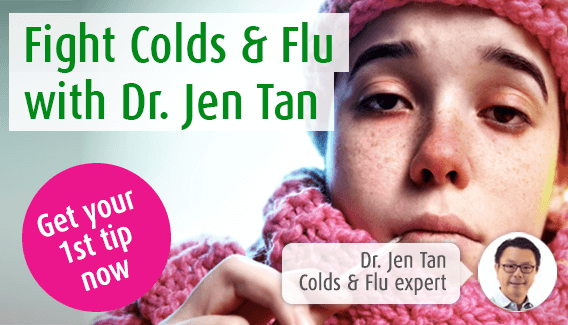 We’re all familiar with the symptoms of a cold or flu – the runny nose, sore throat, achy joints and occasional fever. Many of us are guilty of simply taking a few paracetamol and getting on with our busy day as best we can. But when should we take our infection a bit more seriously and seek medical assistance? Usually you just know when something isn’t quite right, but sometimes it can be hard to tell when it’s time to see a doctor. While a cold or flu can certainly cause coughing and the occasional rattle as we cough up mucus, you definitely shouldn’t be experiencing wheezing, chest pain or shortness of breath. These signs all indicate a more deep-seated infection in the lungs, such as bronchitis or pneumonia, which need to be treated. While a fever is a common symptom of a flu, you should make sure to see a doctor if your fever is very high or if it persists for more than a day or two. This would indicate a more serious infection, or simply that your body is struggling to cope with the flu virus you’ve caught. These are fairly common symptoms of the flu and shouldn’t be cause for concern if they only occur once or twice a day. However, if you are persistently vomiting or experiencing diarrhoea, this could indicate a more unusual infection. You will quickly become dehydrated and malnourished, which won’t do any favours for your immune system, but it can also be incredibly dangerous on its own. For very severe vomiting and diarrhoea, you’ll probably want to go to the hospital to be given an IV drip to rehydrate you. When you cough, sneeze or blow your nose, it is normal for your mucus to be slightly yellow, but if it is green (or any other colour for that matter, like brown) then this suggests a more serious infection like pneumonia. It is normal to still have a lingering cough or a runny nose for some time after the infection has cleared up, but if your symptoms last for more than 7 days without getting better, it’s probably time to see a doctor. This can indicate a more serious infection, or simply that your body is struggling to fight the cold or flu virus. After tackling your cold for a few days, things are finally looking up – your nose is still running and you’ve still got a tickle in your throat but your other symptoms have disappeared – and then suddenly things get worse! The hacking, mucous cough comes back, a fever appears and your head starts to pound. When your symptoms suddenly get worse after seeming to improve, this can be a sign that you’ve caught a secondary infection. Secondary infections can often be more serious and take advantage of your already weakened immune system. If the person with the cold or flu is either very young or very cold, keep an extra-close eye on their symptoms. Any of the previous symptoms should be dealt with immediately by a doctor, but keep an eye out on the regular symptoms as well – anything that seems a bit severe should be checked out, either by phoning your midwife or doctor, calling 111, or by making an emergency appointment. If you’re worried at all about your symptoms, or those of someone else, don’t hesitate to double check with a doctor or other professional! You can often get an emergency GP appointment that day, or simply speak to your local pharmacist.